Reflection is a hallmark of professional practice and an important element of the Nursing and Midwifery Council revalidation process. 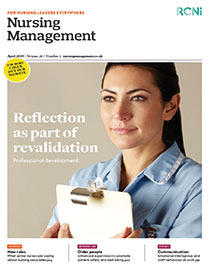 Following two previous continuing professional development articles, on reflection and professional learning and on reflection and personal learning, this article will aim to explore the specific elements of reflection required for revalidation. This publication should help demystify and support registrants embarking on the process.